Join us on December 1, 2016 at the Rotman School of Management at the University of Toronto for Canada's first service design conference. 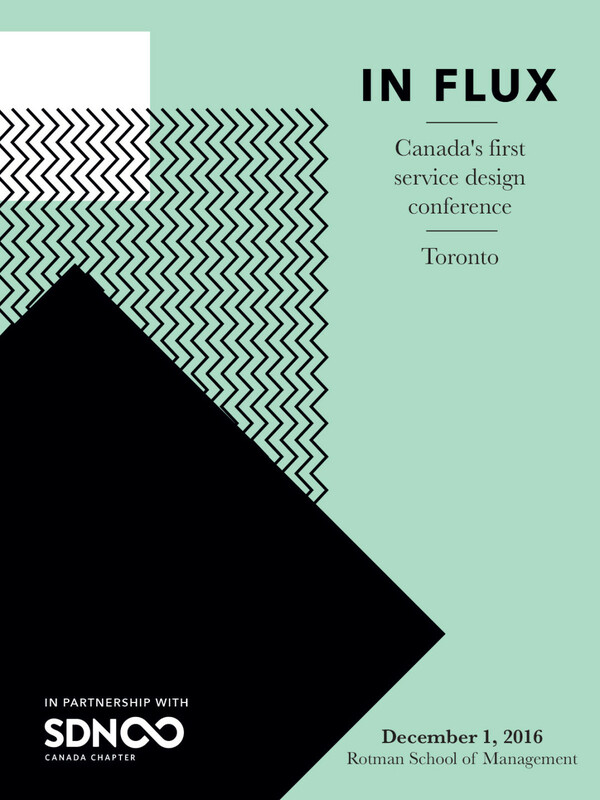 In partnership with the Service Design Network Canada, this one day conference will bring together service design practitioners, enthusiasts, researchers, and students to explore this emerging field of practice. We have an outstanding line up of speakers from across industries and sectors in Canada http://conference.sdncanada.ca/ The conference features themed presentations, a panel discussion, workshops, and lots of yummy food. Network and make connections with service designers and researchers working across fields and sectors. Learn about new tools and methods for doing design differently. Shape the conversation of a design discipline still finding its voice in Canada.